Patrick Beharelle has served as a Director and the Company’s Chief Executive Officer (CEO) since September 2018. Prior to becoming CEO, Mr. Beharelle has served as President and Chief Operating Officer from 2015 to 2018, leading the company’s operational, business development, technology and human resource functions as well its digital transformation strategies. He joined the Company in 2014 following the acquisition of PeopleScout and Staff Management, which he led as CEO from 2009 to 2014, delivering a solid track record of organic growth. Mr. Beharelle has spent over 22 years in the staffing, recruitment process outsourcing and consulting industries and was recently inducted into the Staffing Industry Analysts’ Hall of Fame. James E. Defebaugh has served as Executive Vice President, General Counsel and Secretary of the Company since 2006, after serving as Vice President, General Counsel and Secretary of the Company since joining the Company in 2005. Prior to joining the Company, Mr. Defebaugh held various positions with Kmart Holding Corporation, including Senior Vice President and Chief Legal Officer (2004-2005), Senior Vice President and Chief Compliance Officer (2002-2004), Vice President and Corporate Secretary (2001-2002), and Vice President, Legal (2001). Mr. Defebaugh also served as Vice President and Chief Compliance Officer of Sears Holdings Corporation in 2005. Derrek L. Gafford has served as the Company's Executive Vice President and Chief Financial Officer since 2006, after serving as Vice President and Chief Financial Officer since 2005 and as the Company's Vice President of Finance and Accounting beginning in 2004. Mr. Gafford is a Certified Public Accountant and first joined the Company in 2002 serving as Vice President and Treasurer. Prior to joining the Company, Mr. Gafford served as Chief Financial Officer for Metropolitan Markets, a grocery retailer, from 2001 to 2002, and held a variety of finance positions with Albertsons and Deloitte & Touche. As President of PeopleReady, Sean Ebner leads our network of branches and teams across North America and Puerto Rico that connect reliable, hard-working associates with customers in several industrial segments. Mr. Ebner is a staffing industry veteran with a 20-year track record of delivering exceptional service to customers. Prior to joining TrueBlue, Mr. Ebner served as President of Staff Care, an AMN Healthcare company, the nation’s leading medical workforce solutions firm. Prior to Staff Care, he successfully led a division within Technisource, a subsidiary of Randstad. Mr. Ebner is often sought for his expertise in employment trends. His perspective has been cited in The New York Times, Reuters, The Wall Street Journal, Forbes, USA Today, and many other publications. In his role as President, Workforce Management Group, Mr. Means leads all aspects of global operations for the group’s service lines inclusive of Outsourced Workforce Management (OWM), Managed Service Provider (MSP), commercial driver (Centerline) and skilled aviation mechanic solutions (PlaneTechs). Mr. Means has a 20-year track record of overseeing talent solutions that help clients realize exceptional value through collaborative planning, high-performing teams and industry-leading service delivery. He is a recognized expert in staffing and outsourcing operations, product development and is a regular contributor to industry thought leadership. 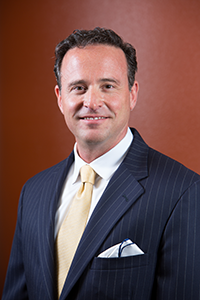 Prior to joining TrueBlue in 2015, Mr. Means held senior leadership positions at ManpowerGroup and Kelly Services. In her role as President, PeopleScout, Ms. Owen leads PeopleScout's global strategic vision, operations and business development strategy. She also leads PeopleScout's best-in-class customer service and works to ensure consistent client retention. Prior to this role, Ms. Owen was Senior Vice President of Global Operations at PeopleScout, where she was responsible for developing client relationships, maintaining service delivery excellence and implementing recruitment solutions globally. Ms. Owen has an extensive background in operational and process excellence, including more than 17 years of talent acquisition and RPO experience. Prior to joining PeopleScout, Ms. Owen was an Operations Director at SourceRight Solutions where she managed global RPO engagements. Ms. Owen is on the HRO Today Association Board of Advisors. She is also a volunteer and avid supporter of the Special Olympics. Steven C. Cooper, 55, has served as chairman of the board of TrueBlue since January 2019 after retiring as an executive of the company at the end of 2018. He has been a director on the company’s board since April 2006 and is a 19-year veteran of TrueBlue. During his 12 years as CEO, Mr. Cooper led the company’s transformation from a temporary labor business to a comprehensive provider of innovative staffing and recruitment solutions for companies of all sizes. Prior to his tenure as CEO, Mr. Cooper served as executive vice president and chief financial officer for four years. Outside of TrueBlue, Mr. Cooper is a director and member of the audit committee of Boise Cascade Company, as well as a board member of the Washington Roundtable - a nonprofit public policy organization representing major private sector employers throughout Washington State. He is a member of the American Cancer Society CEOs Against Cancer and served as the chair of the United Way of Pierce County’s fundraising committee in 2014 and 2015. Colleen B. Brown, 59, has served as a Director of the Company since June 2014. Ms. Brown serves on the boards of the privately held Port Blakely and the venture-backed technology company DataSphere, Inc. She is Principal of Marca Global, an internet technology company. Ms. Brown was previously Director, President, and CEO of Fisher Communications, a public multimedia company. Ms. Brown has served as Chairman of the board of American Apparel, as a Director of Career Builder, and as a Director of Classified Ventures. She is currently a Director of a nonprofit, Delta Dental of Washington. She is a member of NACD, WCD, IWF, and C200. Her community activities have included the Washington Roundtable and United Way of King County. Ms. Brown is a Henry Crown Fellow and a member of the Aspen Global Leadership Network at the Aspen Institute. Ms. Brown brings extensive executive experience in strategic planning, operations, finance, and technology. Her leadership as a public company CEO, as well as a senior officer in two large media companies, is a valuable resource to the Company. As an NACD fellow, Ms. Brown is a champion of best practices in corporate governance. William C. Goings, 60, has served as a Director of the Company since April 2016. Mr. Goings was Executive Vice President of TD Bank Group and President of TD Insurance from 2010 to 2012. Mr. Goings also held the positions of Senior Vice President and Chief Operating Officer at TD Insurance between 2009 and 2010. Prior to joining TD Bank Group, Mr. Goings was in a variety of operating roles with Genworth Financial from 2004 to 2009 and GE Capital from 1996 to 2004. Mr. Goings’ early career was spent working for global companies in corporate banking, strategic planning, and business development. Mr. Goings brings to the Board extensive expertise having served as a senior officer of a large multi-national corporation as well as an executive level, operations focused, strategic planning and problem-solving ability. Kim Harris Jones, 58, was appointed to serve as a Director of the Company effective May 11, 2016. Ms. Harris Jones most recently served as Senior Vice President and Corporate Controller of Mondelez International from 2012 until 2014. She previously served as the Senior Vice President and Corporate Controller at Kraft Foods, Inc. from 2009 until 2012. Prior to her time at Kraft, Ms. Harris Jones served in a number of positions, including Senior Vice President and Corporate Controller of Chrysler LLC from 2008 to 2009. Ms. Harris Jones currently serves on the board of the Ethiopian North American Health Professionals Association as well as on the finance committee of the Consortium for Graduate Study in Management. Ms. Harris Jones has extensive management, financial, and business experience at large complex corporations undergoing significant corporate growth and change. Stephen M. Robb, 54, has served as a director of the company since April 2016. In March 2018, Mr. Robb retired from The Clorox Company as executive vice president and chief financial officer, a role he held since 2014. Previously, he served as Clorox's senior vice president and chief financial officer between 2011 and 2014. Prior to being named chief financial officer, Mr. Robb served as vice president of global finance and held numerous other roles for Clorox since joining the company in 1989. Jeffrey B. Sakaguchi, 56, has served as a Director of the Company since December 2010 and as Chair of the Governance Committee and as Lead Independent Director since January 2017. Mr. Sakaguchi serves as a Director of Eccentex, Inc., a privately held early-stage software company, and as a Director of ACT Holdings, Inc., a privately-held debt collection, call center operation, and business process outsourcing company. Mr. Sakaguchi resigned as Chairman of the board of Neah Power Systems, Inc. in February 2017. He is also a former Chairman of the board of directors for the Los Angeles Region of the American Red Cross, a non-profit humanitarian organization, for which he currently serves as Chair of the governance and nominating committee. He is also an appointed member of the National Philanthropic Board. Mr. Sakaguchi’s experience in a number of leadership roles helps the Company improve performance and build market share. His background and expertise in emerging technology, start-ups, and strategy provides valuable guidance to the Company’s strategy, innovation, and technology efforts. His experience provides a valuable resource to the Company. Kristi A. Savacool, 59, has served as a Director of the Company since July 2018. A proven leader in both professional services and technology, Kristi has more than 20 years of global experience. As CEO of Aon Hewitt, the global human resources solutions business of Aon plc, she set the direction and execution of the firm’s growth strategies - including M&A - oversaw global operations and sponsored Fortune 100 client relationships. Kristi also had a lengthy and distinguished career at The Boeing Company, where she held several senior executive management positions in the areas of technology, operations, and shared services, spanning the commercial and federal business sectors. A trustee for DePaul University, she holds an MS degree in industrial management from Lille University in France. Bonnie W. Soodik, 67, has served as a Director of the Company since March 2010. Ms. Soodik’s career spanned 30 years with The Boeing Company, where she most recently served as Senior Vice President, Office of Internal Governance, and as a member of the Boeing Executive Council. Ms. Soodik also served in various vice president roles within Boeing and McDonnell Douglas Corporation, where she began her career in 1977. Ms. Soodik has experience from a broad number of functions at Boeing, from operations to human resources and has overseen governance, compliance, and regulatory affairs. Her experience with such a large organization provides a valuable resource to the Company.